WordPress Appearance Editor Menu Option is Missing. 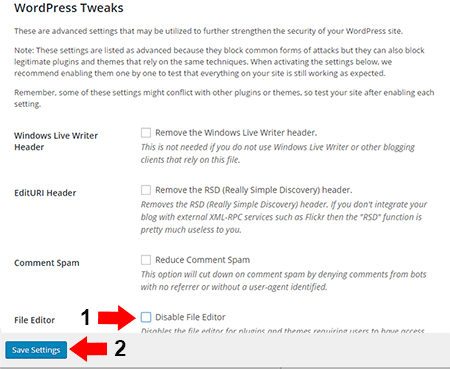 I recently encountered an issue where the option to edit my theme files from the WordPress back end was gone. My WordPress Appearance Editor Missing – Gone! As it turns out, a setting within the iThemes Security was the culprit. Fortunately the fix was simple, and I was back up and running again within a couple of minutes. But, figured I’d quickly share the fix in case others encounter the same issue. Login to WordPress back end. Now go back to the sidebar and navigate to Appearance and the Editor should be available.